Law Education or Legal education in India is generally referred to the education of lawyers before entering into professional law system of India. In India, there are so many traditional as well as professional law education universities which are providing law education studies after the undergraduate or equivalent degrees. Here we are listing the Top 10 Law Education Universities of India which are providing Law courses for Graduate and Postgraduate students. The National Law School of India University (NLSIU) is a government institution of legal education which provides undergraduate and graduate legal and policy education in India. It was the first National Law University of India as well as one of the first in India to offer the five-year integrated undergraduate law degree. NLSIU offers undergraduates a five-year integrated B.A. /LL.B. programme which qualifies the student to sit for the bar to practice law in India. NLSIU offers both coursework and research degrees at the postgraduate level. The LL.M. is a one-year coursework degree and the M.Phil., LL.D. or Ph.D. degrees are research degrees. Admissions to both undergraduate and postgraduate programmes are based on Common Law Admission Test (CLAT). For the Master of Public Policy (MPP) programme, candidates are selected through the Policy Aptitude Test which is followed by personal interviews held at the NLSIU campus itself. The West Bengal National University of Juridical Sciences (NUJS) is the government Law University. It was established under the WBNUJS Act, 1999 adopted by the West Bengal Legislature in July 1999. The objective of the University is to provide advance and disseminate learning and knowledge of Law and legal processes. The NUJS offers five years integrated B.A. /B.Sc. LLB (Hons.) degree programme for the undergraduate and a Master of Laws (LLM) programme for the postgraduate level. The University also offers courses of Ph.D., M.Phil, LLD and Diploma in Business Laws, Diploma in Air and Space Law, Diploma in Human Rights, Diploma in Nuclear Law, Diploma in Public Health Care and Medical Laws, Diploma in intellectual property rights Law. It also offers online courses to the students in 17 countries across the world. Admission to Undergraduate and Postgraduate Programme is through the common law admission test (CLAT). Symbiosis Law School is a constituent College of the Symbiosis international. Symbiosis Law School offers B.A.L.L.B. and B.B.A.L.L.B., five years integrated programme undergraduate and the L.L.M postgraduate programme has an approach with the five specializations in the study of law. The school offers fifteen part-time one-year Diploma programmes. It also offers nine certificate programmes which include the certificate in European Legal studies and Certificate in Securities Law. Admission for both undergraduate and postgraduate is through the Symbiosis Law School (SLC).It is a common written test for the admission process of undergraduate and postgraduate. The test is followed by the group exercise and personal interview to take admission in SLS through these steps. ILS Law College is an Indian Society’s Law College. It is a private law school in Pune and offers courses three year and five-year degree. The college organizes the workshops, conferences and lectures. Indian Society’s Law College (ILS) offers several courses of law B.A.L.L.B, L.L.B, L.L.M., D.L.L. & D.W., D.T.L. and other Diploma courses. The training and placement of ILS Law College handle campus placements of B.A.L.L.B. & L.L.B. for students. College provides complete support to the visiting companies at every stage of placement process which includes Pre-Placement Talks, Written Tests, Group Discussion are made as per requirement of companies. Faculty of Law, Banaras Hindu University is a Faculty of law one of the first faculties in the Banaras Hindu University. The law faculty had only part-time teachers which are mostly advocates from the Allahabad High Court. Faculty of Law, Banaras Hindu University offers courses of B.A.L.L.B. (Hons.) five years degree, L.L.B. (Hons.) three years degree, L.L.M one-year degree, L.L.M & L.L.M. HRDE Programme, Ph.D. Programme in Law, P.G. Diploma (part-time) courses. Admission to Law Programme Candidates must clear the Common Law Aptitude Test (CLAT). Amity Law School is a Private Law School affiliated to Guru Gobind Singh Indraprastha University, Delhi. It is approved by the Bar Council of India. Amity Law School offers many Law courses B.A.L.L.B., B.Com. L.L.B., B.B.A. L.L.B undergraduate programme and L.L.B., L.L.M. postgraduate programme. The college offers one-year postgraduate degree L.L.M. IN 12 specializations including corporate Banking and Insurance Law, Tax Law, Medical and Health Law, Media and Entertainment Law, international trade and Economic Law, International environment Law and much more. ALS also provides part-time Ph.D. in Law. ALS also runs five years integrated L.L.B. (Hons.) programme. Admission to ALS undergraduate and postgraduate law courses Common Law Aptitude test (CLAT) organizes. Aligarh Muslim University (AMU) is an Indian public central university. The university offers both undergraduate and postgraduate law programmes. The University offers five-year B.A.L.L.B. (Integrated) course, 2 years L.L.M. course along with P.G. Diploma in multitude specializations. Aligarh Muslim University (AMU) conduct law entrance exam AMU BA LLB every year for B.A.L.L.B. Candidates must note that the important dates, eligibility criteria, application procedure, exam pattern etc. Bharati Vidyapeeth Deemed University, New Law College is recognized by Bar Council of India and Universities Grant Commission. The faculty members of law are well qualified as well as competent. Most of the teachers are senior advocates and retired judges. The University also provides the facility of E-Learning and video conferencing in our country and abroad also. The college is associated with universities in U.K., the U.S.A. through the participation in the moot court of abroad for competitions. The University offers undergraduate programme B.A.L.L.B. and B.B.A.L.L.B., postgraduate programme L.L.B., one-year L.L.M., two-year L.L.M. and Ph.D. in Law. The university also offers one-year Diploma courses in various Laws and also offers multitude Certificate courses. Admission for Law programmes University conduct exam for candidates which is a Common Law Aptitude test (CLAT). Candidate must clear CLAT for taking admission in corresponding Law programmes. Faculty of Law, Jamia Millia Islamia is a public central university in Delhi. The university offers multitude Law programmes which include undergraduate, postgraduate and diploma. The faculty of law organizes the moot court competition and national moot court competition for students. The students of the law have been regularly associated with the lawyers, law firms, NGOs and corporate during the winter and summer vacations. The Faculty of Law offers the both undergraduate B.A.L.L.B. and postgraduate L.L.B. And L.L.M in three specialization stream of Personal Law, Corporate Law and Criminal Law and Ph.D. degree programme. The faculty of Law organizes Common Law Aptitude Test (CLAT) for Law programme. The Selected candidates are further preceded by the university rules and regulations for admission. 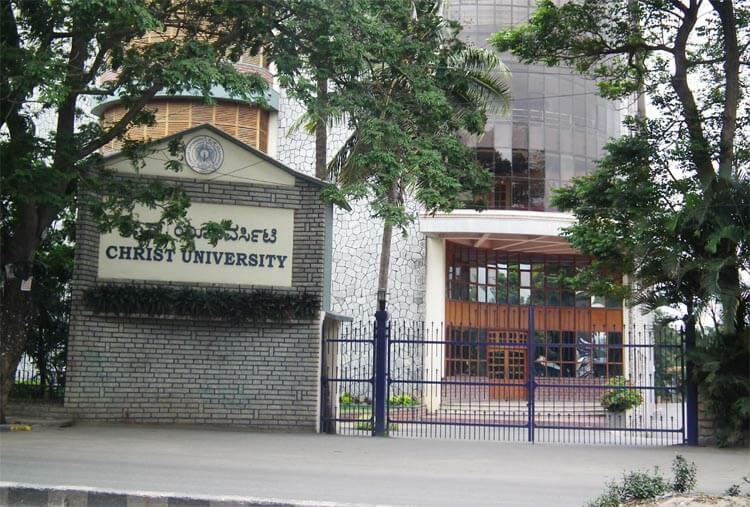 School of Law Christ University (SLCU), formally known as Christ College of Law. It is approved by the Bar Council of India to conduct the undergraduate and postgraduate also offers P.G. Diploma. SLCU offers five years integrated B.A.L.L.B and B.B.A.L.L.B. programme and three L.L.M. programmes in Corporate and Commercial Law, Constitutional and Administrative Law, Intellectually Property and Trade Law apart from M.Phil and Ph.D. degree programmes in Law. Admission for Law programmes is based on Common Law Admission Test (CLAT). Candidates must be initiated about the status of Selection through the “Application Status”. Candidates must note that if he/she selected, the admission process is done by the university rules. PREVIOUS POST Previous post: What are Career options after MBA? What Can You Do After Getting MBA Degree?